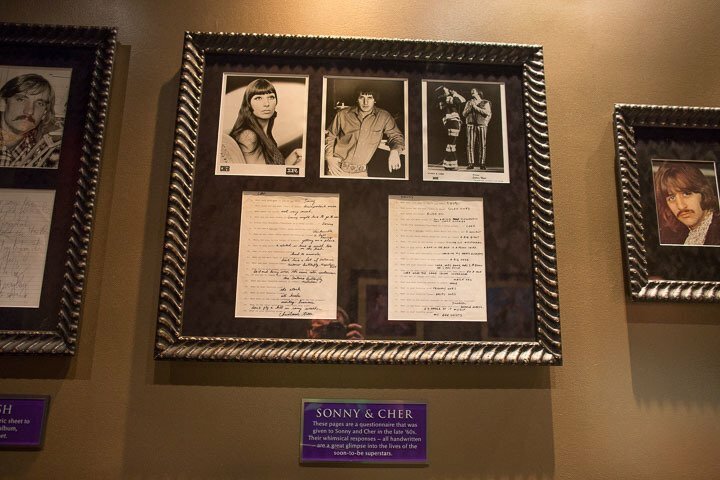 If you're a rock and roll fan, this is the place for you. 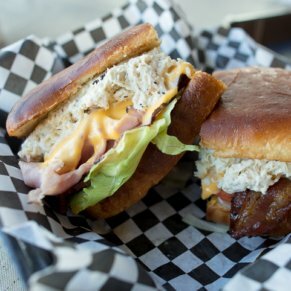 Although the prices are on the higher end, you're getting great food while being surrounded by a rock and roll museum. 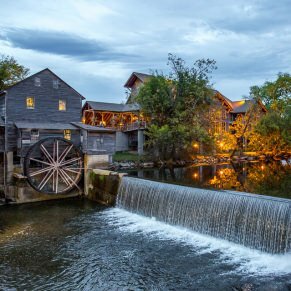 The Hard Rock Cafe, located in Pigeon Forge, provides a relaxed atmosphere with an abundance of rock and roll memorabilia that will give you loads of fun facts and history on the rock and roll greats! 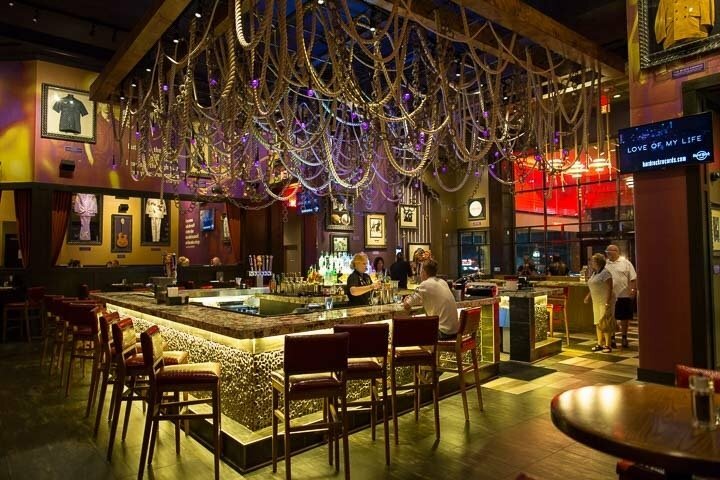 Along with an overflowing selection of cocktails and beers, Hard Rock offers a variety of burgers and sandwiches which are the spotlight dishes here. 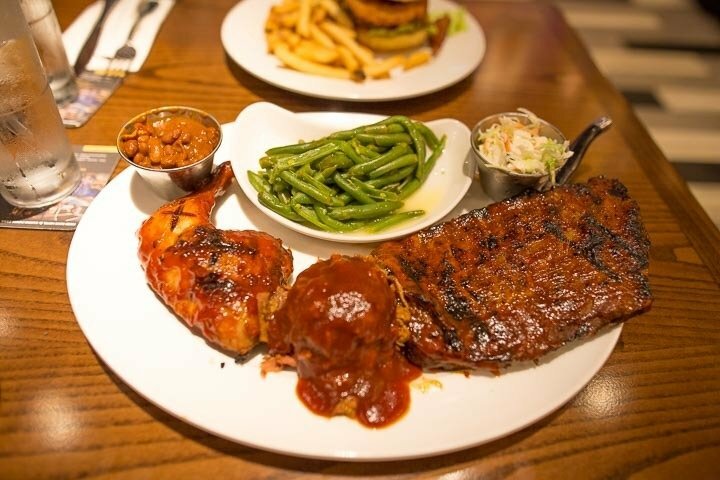 Teens and adults alike will enjoy the music playing throughout the restaurant and the corresponding music videos that play on various TVs that are placed all around; this concert-like feel epitomizes what Hard Rock Cafe is made of. 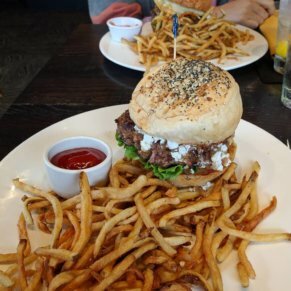 Hard Rock spares nothing when it comes to the freshness of their food – we were thoroughly impressed; all food is made in house daily, and this practice is definitely noticeable with the first bite. With the freshness and huge portions being considered, the price tag, which is on the higher end, is reasonable though we could see some people feeling it’s a little over priced. 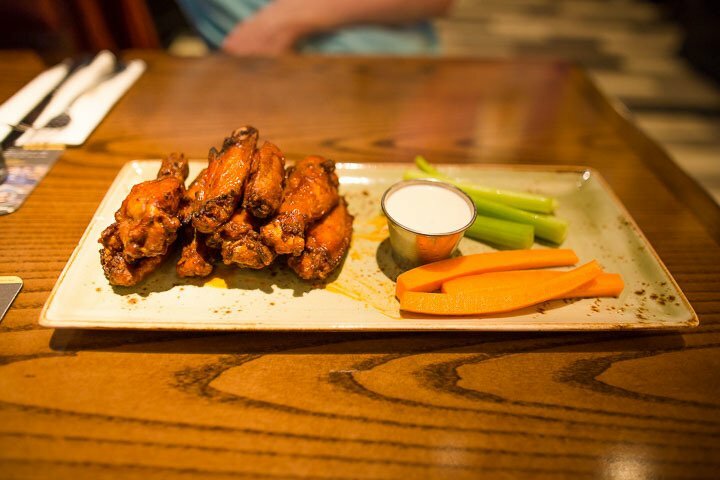 Wings– Wet your palate with these bad boys. You get huge wings smothered in Hard Rock’s very own dry rub seasoning roasted buffalo style or grilled. Pick classic rock, tangy, or heavy metal sauce for these delicious wings or simply have them dry seasoned. The choice is yours, but you really can’t go wrong. 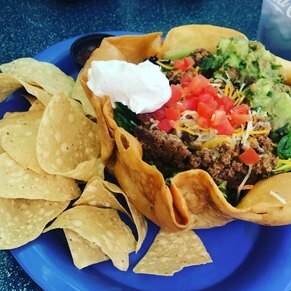 Nachos– The appetizer menu has clearly caught our attention; however, if you try the nachos, you’ll understand why. 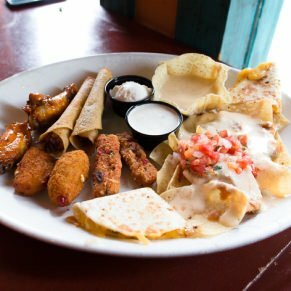 These nachos are stacked up nice and tall with enough flavor for everyone. With bean dip, 2 different cheeses, salsa, jalapeños, green onions, and topped off with sour cream, these nachos will not disappoint. 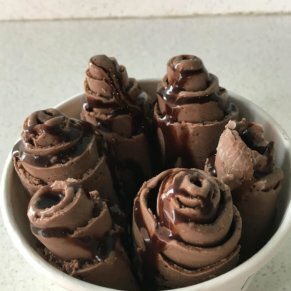 If all of that doesn’t sound like enough, you can add beef or chicken for an additional cost. Hickory Barbecue Bacon Cheeseburger– Prepare yourself for a mountain of burger. 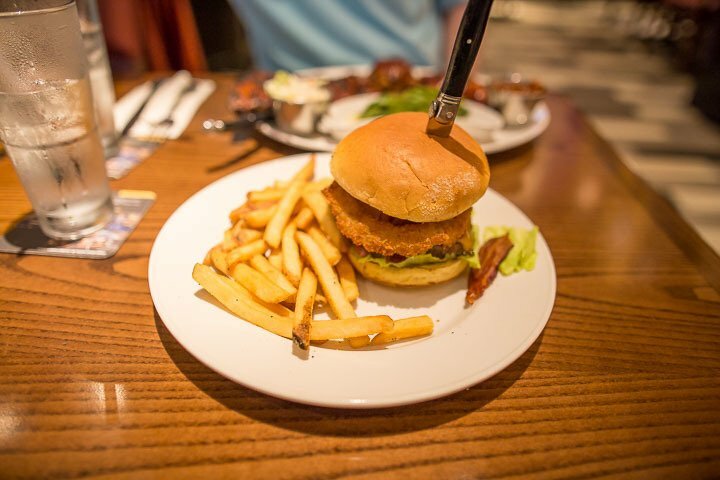 This monster burger is a barbecue lovers dream piled high with lettuce, tomato, bacon, cheese, caramelized onions, and barbecue sauce of course; we can’t resist this burger when we visit Hard Rock. 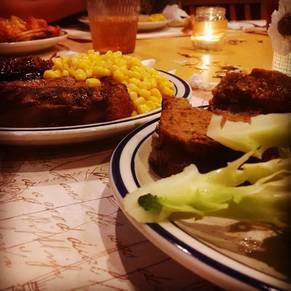 The servers made us feel right at home and as if we have been friends for years while at the same time fulfilling all of our needs in a timely manner. 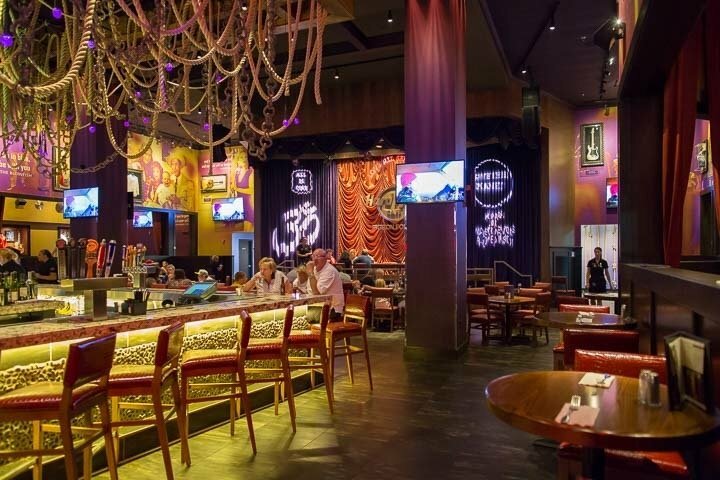 The attitudes of the servers add to the cool, relaxed atmosphere of Hard Rock. Their attire, which is usually closer to the wild side, fits perfectly with the theme of rock and roll. 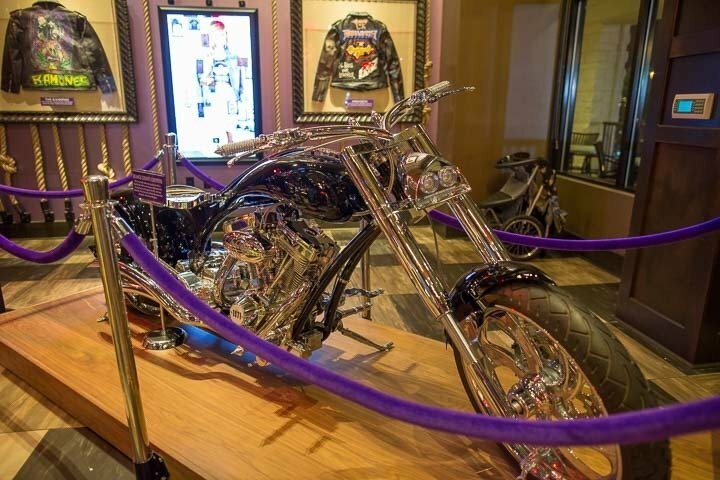 Hard Rock’s decor offers its own pastime while you wait for your food. 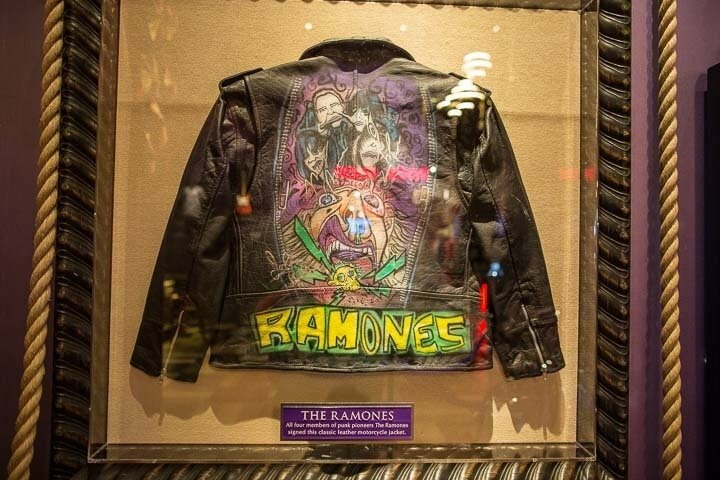 Guests are encouraged to walk around the dining room to view the walls which are filled with an array of clothes and instruments formerly belonging to rock legends. 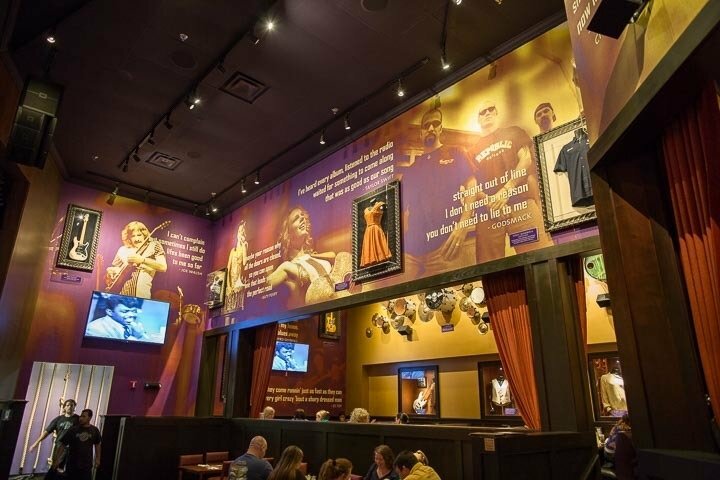 Hard Rock offers a gift shop full of clothes, accessories, toys, and drinking glasses to meet the needs of those wanting to remember their experience at this rock haven. 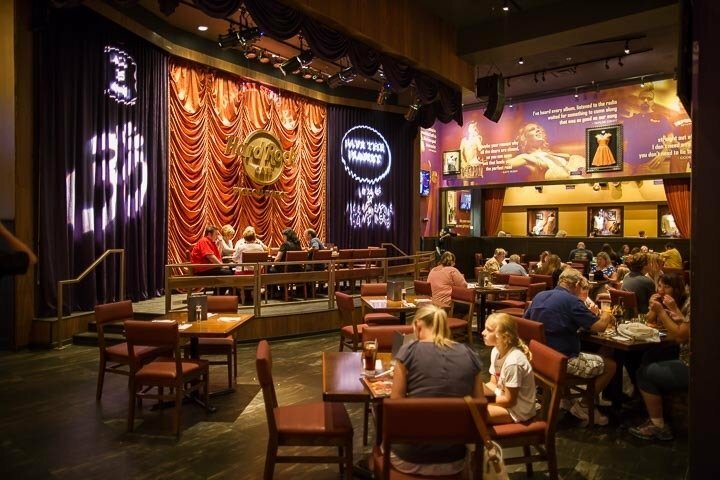 Insider Tip(s): What would Hard Rock Cafe be without a stage and live band? 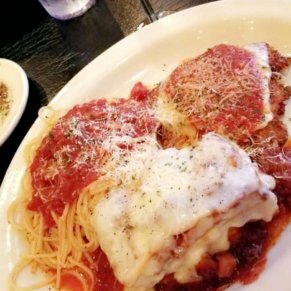 This head banging restaurant offers live music on Friday and Saturday nights from 10-12; there are no age restrictions or cover charges. 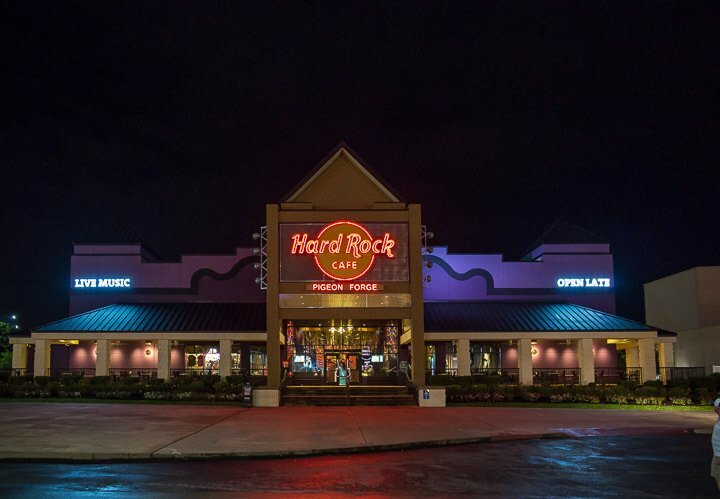 Occasionally Hard Rock will take a night off from the live music for various reasons, so call ahead to ensure the band is rocking that night before making the trip for music. Directions: Hard Rock Cafe is located between the Smoky Mountain Opry and Wonderworks. Just look for the building that’s upside-down, and Hard Rock is directly on the right.